The highly anticipated light heavyweight rematch between Mauricio “Shogun” Rua and champion Lyoto Machida will finally go down tonight at UFC 113. 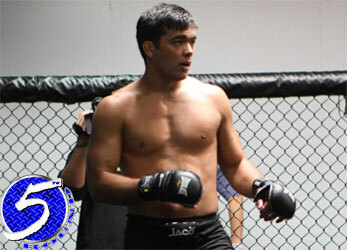 Although fans have been anxious to see the mulligan, Machida believes it will be deja vu all over again. It’s been nearly seven months since Machida was handed a controversial unanimous decision win over Shogun at UFC 104, however the striker can’t avoid having to constantly defend his victory. Despite the fact the 31-year-old knows Shogun will not be the exact same fighter he faced last November, it will be business as usual for the sport’s most elusive athlete. Machida is notorious for his unmatched ability to dodge, duck, dip, dive and dodge his foes – while landing shots as they overexert themselves. The blueprint has worked masterfully to the tune of a perfect 16-0 record en route to capturing the UFC light heavyweight crown. Although Shogun got a good feel for his game in their initial meeting, Machida soaked in a good amount of info on the challenger as well. “I believe every fight’s a different fight. Every fight’s a new experience. But I do think that both for myself and for Shogun, being in there with each other for 25 minutes, I’m sure that he noticed some things about me and I noticed some things about him,” said Machida. Most importantly, Machida would like to see himself make another successful title defense and leave the Bell Centre in Montreal with the strap in hand – otherwise this deja vu could be his worst nightmare.